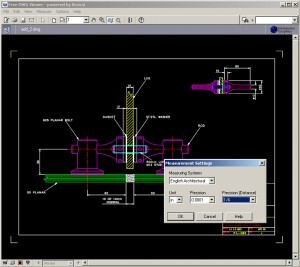 Free DWG Viewer 7.1.0.11 Download and Install.Use our free DWG file viewer to open AutoCAD files. The free viewer reads DWG, DXF and DWF files and also supports snap to geometry measurement take off. Free DWG Viewer from Information Graphics lets you view AutoCAD DWG, DWF, and DXF files as well as CSF (IGC Content Sealed Format) files in Windows without AutoCAD or compatible CAD packages. It can run as a desktop application in Windows or as an ActiveX control in Internet Explorer. It offers a variety of viewing options, including accurate snap-to-geometry functionality. Free DWG Viewer is a freeware version of the developer’s Brava program. The free version lacks several features, such as the ability to make markups. It also lacks a Print feature, but it does save files as JPEGs, which you can print normally in your usual app.